It’s so obvious and so predictable but often we do not notice it—the world around us is in a constant state of progression and flux. 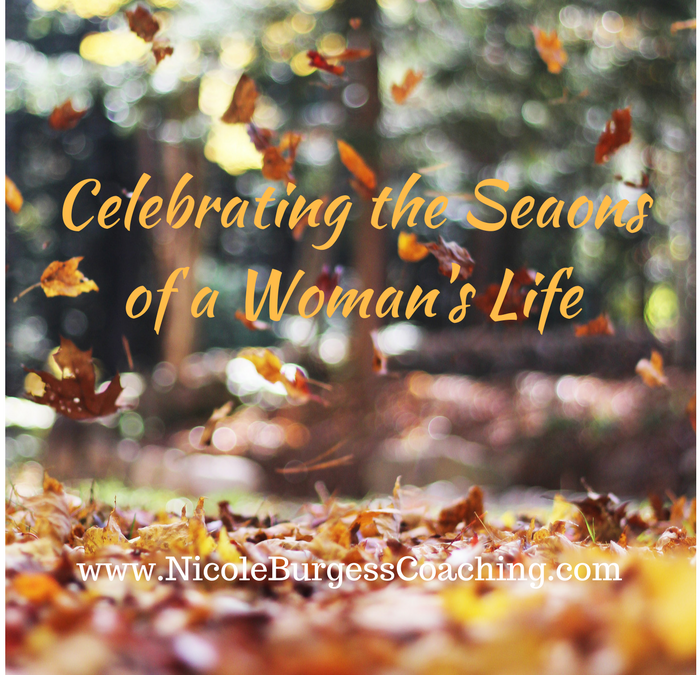 And just as the seasons change, so every woman faces a series of transitions that can really show her strength….or set her heart racing with anxiety. Throughout our lives, we experience a host of monumental changes: adolescence, first job, first relationship, marriage, pregnancy, childbirth, motherhood, promotions, career switches, redundancies, a new home, a new city, break-ups, divorce, empty nesting, looking after elderly relatives, the terrible loss of a loved one. Sometimes these changes happen naturally in a condition of contentment. Other times, they are forced upon us by a period of crisis or an upheaval. Whatever brings about these changes, they all represent the chance for a new beginning; to really live how we need and want. The universe works in mysterious ways! Despite this, change can bring about a lot of anxiety, especially for sensitive types. Some of us are predisposed to fall into a flat panic when we’re pushed into a new situation, like the world is ending. Our brains are screaming, “no, no, NO!” and we feel acutely vulnerable. Even if we’re good with change, there are some transitions that give everyone heart palpitations. Few of us celebrate with confetti when we edge towards a divorce, for example, because we’re scared and disappointed that we haven’t had the successful relationship we wanted, confused about what happens next, and we convince ourselves that we failed. We stop thinking of change as a curtain rising and see it as a drawing down of blinds. What makes transitions so difficult? Change is hard because it represents the unknown. Coping with it may mean adjusting your perspective of yourself or letting go of something you worked really hard on in the past. You may be so used to being great in one place that the thought of transitioning to something else is completely disorientating. When a child leaves home, for example, you’re transitioning from the role of mother—someone who is valued and needed—to an empty nester. Now you’re not needed as much, you may be feeling less-than-sure of why you matter and about what comes next. A new beginning means a black space, temporary chaos, and that’s a pretty scary place to inhabit. It takes a great deal of faith to throw yourself into new and unfamiliar challenges. What if you don’t like this next chapter in your life? What if it isn’t as deep and meaningful as you need it to be? Being in transition is a wonderful opportunity for growth. One thing (the only thing!) I know about cars is they run more smoothly when the wheels are in perfect alignment. It’s the same with change—it all happens a lot more smoothly when whatever is coming next stays in alignment with your values and your soul’s true purpose. The key to every transformation is a willingness to be vulnerable, a commitment to influence the outcome through conscious action, and living as authentically as you can. Accept that something is ending and surrender to it. Grieving is normal. Taking time for closure helps us to embrace what is transpiring, which is much more healing than hiding your head in the sand. Take some time to explore what you’re thinking and feeling—don’t rush in. Self-reflection is a time for harvesting your life skills; of taking stock and allowing your higher self to develop. Don’t be scared to ask the deeper questions. Who am I? What do I want from this next chapter? How do I fit in? Explore all the new possibilities. Change is a tremendous opportunity to get out of a rut (or trance) and make the changes you’ve been dreaming about. Visualize the new phase that is developing through the lens of your core values. What opportunities are coming your way? Honor the transition. Change is natural and inevitable. You can’t hit peaks without wandering through some valleys. Trust your intuition. Be kind to yourself. Is it time for you to embrace your seasonal new beginnings? Every season is an opening, and there’s no such thing as too late. One of the few things a woman can count on is transitions. Life is too short to not make them count. Start today. Schedule a free 20-Minute consult call, and let’s set you on the path to living your most joyful life with ease.